WE SUPPORT A NEW GENERATION OF LEADERS AND ENTREPRENEURS TO LEAD SOCIAL AND ENVIRONMENTAL REGENERATION OF OUR BIO-REGIONS AND COMMUNITIES. Through education work and demonstration, our mission is to support farmers, builders, entrepreneurs and designers to conduct socially and ecologically regenerative work. Join Regeneration Field Institute: a network of students, researchers, scientists, and leaders. Together we can take action for the regeneration of our world. After the 7.8 magnitude earthquake in coastal Ecuador on April 16, 2016 we started the Bahia Beach Construction movement. To date we have sourced, trained, and employed dozens of local builders since the April 16, 2016 earthquake that struck coastal Ecuador. 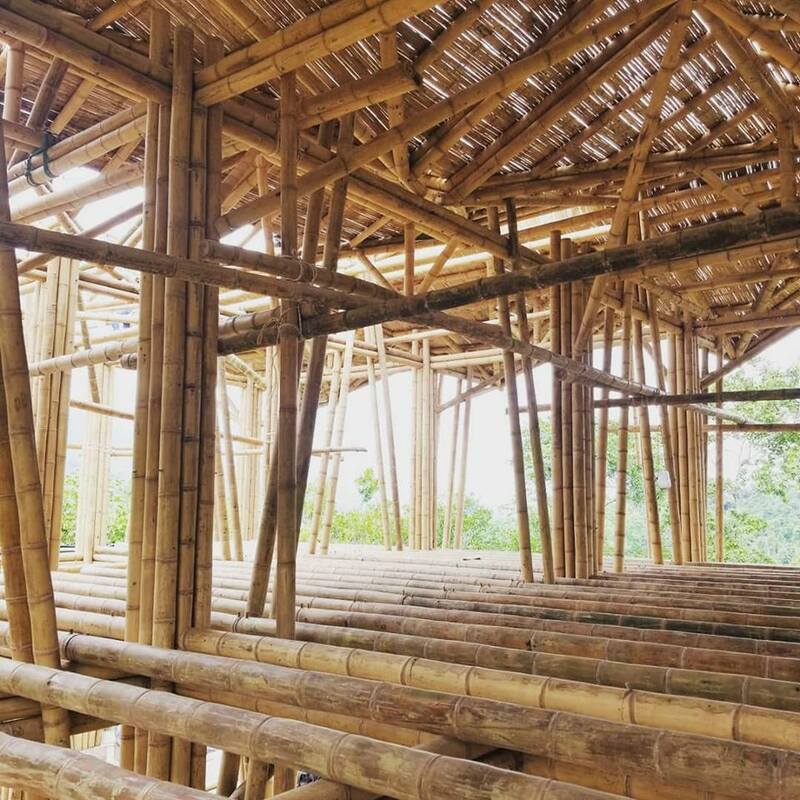 We've built 22 seismically safe homes and 40 other business and shelter structures with caña guadua bamboo. We now are transitioned to establishing bamboo plantations and curing facilities in nearby Chone to increase the supply of cured bamboo on the coast, as well as continuing to offer bamboo building courses for local and international guests. Our trainings sites are in the beautiful coastal city of Bahía de Caráquez and the Los Arboleros Farm in Chone, a 71.5 acre agroforestry operation. By planting bamboo, cacao, dozens of local fruits, moringa, tumeric and native timber species, we demonstrate the possibilities of diverse eco agricultural farm business. By integrating new practices through interplanting species to maximize production, planting new high value crops, and producing in house organic fertilizers, we demonstrate alternatives to the degrading chemical based monoculture agriculture that is widely practiced on our planet. Healthy organic food crops are to sell and eat, and cultivating sustainable timber and bamboo sets an example for what is possible for the future green building industry. By generating funding through the sales of our student programs, we are able to invest in offering long term employment to coastal Ecuadorian farmers and builders. We support the development of skilled sustainable agriculture and bamboo building professionals. With students, by connecting people from a wide range of disciplines, we support the development of innovative perspectives on social, environmental, and business issues. We work to empower young people to turn their visions into real and viable careers. We dream of a world in which the creation of new buildings has a net negative carbon impact. We dream of expansive bamboo forests that are harvested sustainably for their incomparably strong fibers for diverse construction and industrial uses. We dream of a regenerated coastal Ecuador where the catastrophic deforestation is reversed, where people live in earthquake resistant and cool bamboo homes, and where the top soil, local watersheds, and communities are regenerated.